This disc, as many various artists compilations, is a mixed bag. Some of the cuts here are very good, while others are forgettable, and many fall somewhere in between. However, for this reviewer, just the David Bowie/Bing Crosby cut alone makes it worth the price of admission. Beginning with a wonderful humorous and light hearted dialog, this cut is the whole reason I bought this CD, and it is worth it. Although the Little Drummer Boy version here is rather sedate, these two voices work incredibly well together and make this song a great piece. A cover of the classic John Lennon holiday number, this is a solid mellow rock cut with some great vocal arrangements. It’s message of peace is still poignant today. The chorale type vocal segment seems a little hokey, though. A mellow rock and roll holiday classic from Orbison, this one is a bit weak by my standards, but still entertaining. A riotous Irish Christmas song, this one is fun and humorous, but not really to my taste. Feeling just like every classic Ventures surf cut, this tune combines lots of Xmas themes into a fun jam. It is definitely one of the stand out pieces on the CD. Starting with saxophone doing “Joy to the World”, this piece jumps into a great rocking melody in true Thorogood fashion. With a great seductive tone, this is a fun, if dated, track. If ‘50’s rock is your thing, this is a great Xmas cut. If not, it’s still not bad, and features a nice sax solo. I have never been a big Beach Boys fan, so this cut doesn’t do much for me. That said, it is what it is - the classic Beach Boys sound on a Xmas number. With a great, fairly modern sound, this take on the classic is a definite winner and good fun. The vocals on this recording are particularly strong. This is a pretty standard Tempt’s fare, way deep vocals and all. Dean Martin-Let it Snow! Let It Snow! Let It Snow! 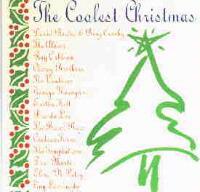 A classic crooner Christmas cut, this one is a good fun romp through the wet stuff. Everyone has heard this one, and it is stupid, stupid, stupid. My advice is to either program by the cut or hit “skip”. Well, not really a Christmas piece, but, hey, it is a classic and you need to have it in your collection for New Years Eve.